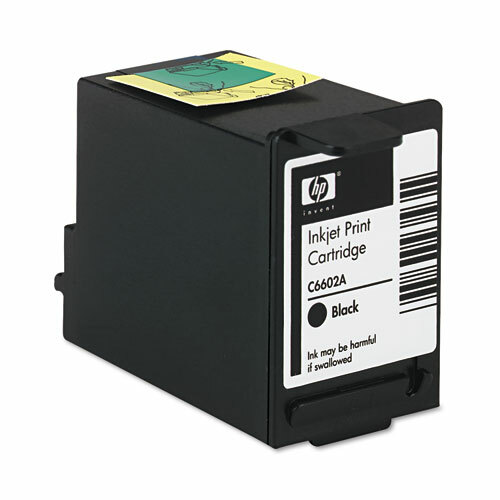 The Hewlett Packard C6602A black Extended TIJ 1.0 print cartridges contain a special ink formulation which results in very fast dry times. Hewlett Packard's inkjet technology delivers crisp reliable printing on all common papers and porous surfaces. The fast-drying, water-fast, and fade-resistant inks used in the original HP C6602 ink cartridge make it an ideal solution to handle the printing needs of the banking, retail, hospitality and product identification industries. The high capacity C6602A ink cartridge prints at 96 dots per inch and can print over 7 million characters non stop making cartridge changes less frequent. The Hewlett Packard C6602 series ink cartridges are available in four colors, HP C6602A Black, HP C6602R Red and HP C6602B Blue. The single color dye based HP C6602 series printer inks ensure that no ink is wasted and makes changing colors quick and easy. The HP C6602A, HP C6602R, and HP C6602B printer ink cartridges are commonly used in Transact / Ithaca POSjet, Ithaca BANKjet, NCR SelfServ ATM, NCR Tellerscan and Panini My-Vision X printers. Buy the Original HP C6602A Black Ink Cartridge and other printer ink and toner cartridges at discounted prices from InkOasis.com. The Genuine OEM Hewlett Packard C6602A Black Ink Cartridge is used in a few different machines which are listed below. You can also verify your printer model by using our printer ink and toner finder and searching for your printer. If you need assistance with the Original Hewlett Packard C6602A Black Ink Cartridge we are available to help you with any questions. 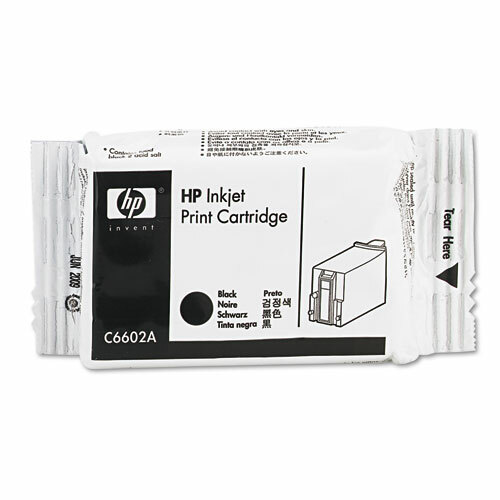 In addition to the Original HP C6602A Black Printer Inks InkOasis.com carries many different brands of genuine original (OEM) and compatible inkjet and toner cartridges. Be sure to check out our blog for printer cartridge reviews and printer ink coupons. We also offer free shipping on orders over $75 and quantity discounts on many cartridges.